If you spend any time in marketing circles or reading about marketing, you will bump into the word “branding”. 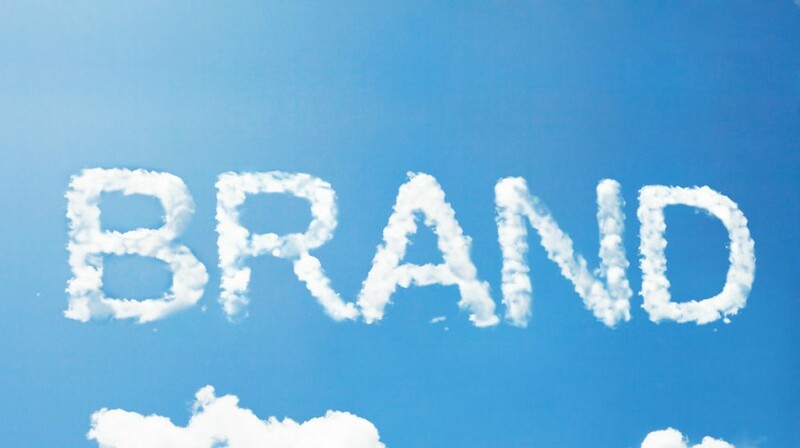 Branding is one of those concepts that is a bit vague, at least for the non-marketer small business owner. So today we’re going to look at “what is branding” from the small business perspective. We’re also going to tackle the question of whether branding should matter to small businesses — or whether it’s something only large corporations should or can afford to care about. That seems a good informal way to describe a company’s brand. Under that definition, many things can contribute to a brand. Does a picture pop into your mind about a company, such as its logo or colors? Think about the logo, such as Coca Cola — recognizable the world over, executed in its distinctive curvy script in white against red. And when you see it, do you imagine the effervescence of a Coke, the dark color or how it tastes? All of those things may run fleetingly through your mind when you want something to drink. Sometimes it’s not the logo but another visual that comes to mind — even packaging. For instance, I couldn’t tell you what the Tiffany logo looks like, but the instant I see the iconic Tiffany blue box, I know which company we’re talking about. Certain attributes immediately come to mind, such as high quality jewelry and luxury home goods — things no one actually needs, but so many desire. Or perhaps it is the company’s approach to customizing its product. Mention the name Starbucks and immediately coffee comes to mind. Now, I don’t even like Starbucks coffee (too strong and burnt tasting to me) but when traveling I will always look for a Starbucks. I know I can expect a certain level of quality. The coffee will be fresh — not a stale witches brew. But it’s more than coffee I think of — it’s that I can get it the way I want it. No matter where I am, Starbucks will have hot, steamed low-fat milk to cut the strength. I can ask for a Cafe Misto (the Starbucks name for cafe au lait) made half with steamed milk, and half with brewed coffee. And I will get it — even though it’s not on the menu. Why? Because Starbucks aims to give you coffee gussied up the way you want it. So when you ask the question “what is branding” — it is something that triggers associations in our minds. Branding is about creating an identity. It’s what sets one company apart from another. In short, it tells us what we can expect from that company. It’s about the perception people have of the company. Branding (a verb) is doing those activities and communications, large and small, that create and reinforce a brand, i.e., what a company is known for. Your branding (a noun) is all the elements that make up a brand, whether logo, packaging, colors, reputation for customer service, reputation for customizing customer orders without complaint, speed, self-serve options, low price, high quality — whatever. According to the Tronvig Group that I mentioned above, branding is what creates customer loyalty. They say it is what keeps consumers loyal and buying repeatedly. I would agree with that … but…. I’d go further. Branding is what helps a prospective buyer call to mind a particular company when it comes time to buy. In other words, branding also helps with awareness. In a world of infinite choices, branding that helps people remember YOUR company is more important than ever. Today consumers have a seemingly endless choice of retailers, products and services available at their fingertips online, or at the local strip shopping centers or shopping malls. If consumers are shopping for something, what do they do? Go to Google, where billions of Web pages and yellow page listings are available. Not only are there many choices, but some of the decision factors that traditionally separated and defined companies are today transparent and without much difference. Take, for example, pricing. Pricing is easier to discover and compare than ever before. In certain industries there may be very little price difference. When all prices are the same, what makes the buyer choose one over another? Nuances and qualitative factors may make the difference. For small businesses, what sets apart the business may be factors such as high quality, craftsmanship, personalized customer service, superior knowledge to help customers make the proper product selections, and similar qualitative factors. The challenge for some small businesses is how to get customers to think of them when it’s time to buy. You don’t want your company to be nonexistent in the customer’s mind. And if they see your brand name in a list of competing vendors (such as in a search engine), you want your brand to be associated with positive factors that make it stand out. Branding is not a replacement for sales or specific marketing campaigns. But branding assists and reinforces your sales and marketing efforts in important ways. Actually, you can’t afford not to. Sure, branding can get incredibly expensive if your idea of branding is a nationwide television and print campaign. But it doesn’t need to be. 1) Start with clarifying what your brand stands for. What’s that “one thing” you want customers to think of, when thinking of your company? Most knowledgeable — that is, your representatives can help the customer choose options in a complicated product environment? Speed — such as your 10-minute lunch menu, or same-day delivery, or fastest time to create a customized solution? High quality — especially when all the competition is low quality? Think it through. If you or your team are confused about that “one thing” that sets your company apart, customers probably will be, too. If you’re not sure what this is, find out. Schedule a strategy session and hash it out with your team. Do a customer survey to ask existing customers what they value most. Start asking new customers what made them choose your company or product or service. Try to limit it to one thing or at most two things you want your brand to be known for. If you end up with a laundry list of 20 things, go back to the drawing board and narrow it down. Customers don’t choose a vendor for 20 reasons. It’s usually one or two reasons that push them over the decision edge. 2) Audit your marketing materials. This is low hanging fruit. Check over your website, your Facebook page, your brochures, your ads — every piece of marketing you have. Do you have words in them to clearly convey “that one thing” that you want to be known for? Or are your marketing materials sending mixed messages, with brochures emphasizing lowest cost, while your website emphasizes unparalleled quality? Maybe you deliver both, but in that case the combination of both should be conveyed, not one or the other. Is your company name abbreviated in your marketing materials with cryptic initials that customers may not understand? Just because you refer to your company internally by an abbreviated acronym doesn’t mean customers have any clue what you’re talking about. Look at sales scripts, too. Are sales reps conveying what your brand is, the way you want them to? Or are they saying something different? You may even learn something from them — they may have discovered through trial and error what customers value most and how customers perceive your company. Make sure everything reinforces what you want customers to think about your business. 3) Demonstrate it with stories. Stories make your brand “stick.” It’s not enough just to say over and over that “we offer high quality.” Show it! Write up case studies about how you helped a customer with your high-quality solution to solve a problem that no one else could solve. Or get a testimonial about how your product outlasted other products by five years. 4) Use colors, symbols and other elements to create visual associations. Check your marketing materials for consistency. Are you using an outdated logo on some materials? Do you even have a logo? Are colors consistent? Visual elements are important clues that trigger other associations and help customers remember your business. Remember, branding isn’t just for large corporations. When customers have seemingly endless choices, branding becomes a crucial competitive edge. That’s the value of branding for small businesses.